The winners of the 2017 Speech Pathology Australia Book of the Year awards have been announced. Mad Magpie (Gregg Dreise, Magabala). The awards were presented on 2 November at the State Library of Queensland. 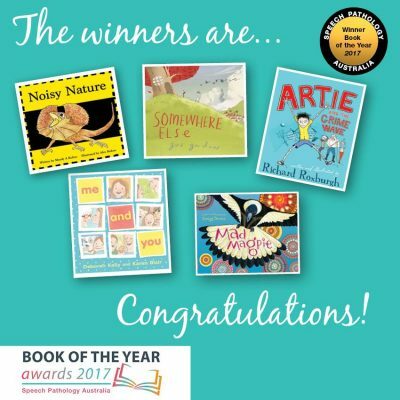 The Speech Pathology Australia Book of the Year Awards aim to ‘promote quality Australian books that help children get the best, most literate start in life’ and are judged on their ‘appeal to children, interactive quality and ability to assist speech pathologists and parents in communication and literacy development’. Each category is judged a panel of experts in oral language and literacy development.